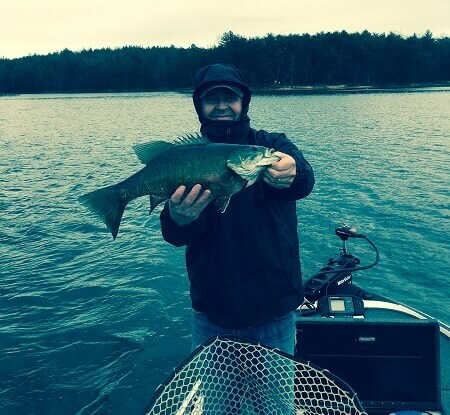 A well kept secret, Lake James is a spectacular largemouth and smallmouth fishery! 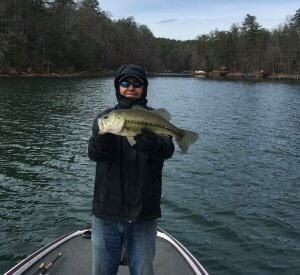 Our Lake James fishing guides specialize in largemouth bass fishing trips as well as smallmouth fishing trips for making an unforgettable day on the lake. Lake James is a 6,812 acre reservoir with the Catawba River feeding it from two North ends. Big smallmouth and largemouth have illustrated the fisheries worth.The lake is not a high-elevation reservoir, but with the smallmouth and largemouth fishing being as good as it is, our guides typically travel the extra distance to make miracles happen. Lake James fishing trips consist of bass fishing for smallmouth or largemouth on an outfitted bass fishing boat. Where your SAA captain will teach you the ins and outs of fishing for smallmouth and larger predators. Our fishing outfits are designed to catch fish. During the months of October to May are the best times to fish on Lake James for either species. Bass fishing excels in the early spring months where boater traffic is minimal. Since Lake James is so clear we typically use 10lb fluoro or smaller diameter line when chasing smallmouth bass. Our favorite patterns that have proven themselves time after time are deep diving crankbaits, jerbaits and soft plastics. You will learn how to use each bait effectively for your private outing. 80% of the time we will be using light monofilament line with finesse baitcasters or spinning outfits to provide accurate presentations. These techniques are specific to smallmouth fishing to provide strong hook sets and high landing ratios, when a fish is hooked. Southern Appalachian Anglers has customized our smallmouth fishing with the best fishing guides in the area. Our guides will help you catch fish from sunrise to sunset. The smallmouth bass is a sought after game fish and we believe every client should get their fair-share at catching a trophy fish. Our guides are trained to help and teach others about smallmouth fishing, their habitats, and bait selection. Contact Southern Appalachian Anglers to book your next guided fishing trip on Lake James today!